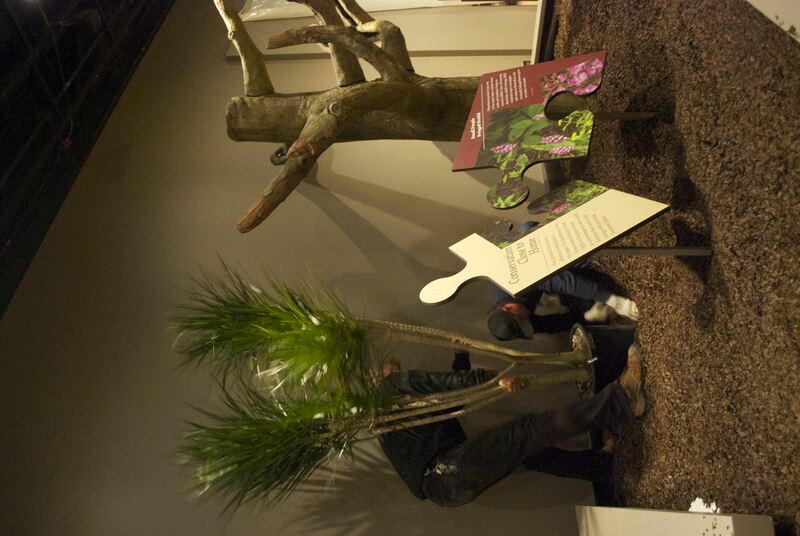 Smithsonian Gardens recently opened The 20th annual orchid exhibition, Interlocking Science and Beauty, at the National Museum of Natural History. 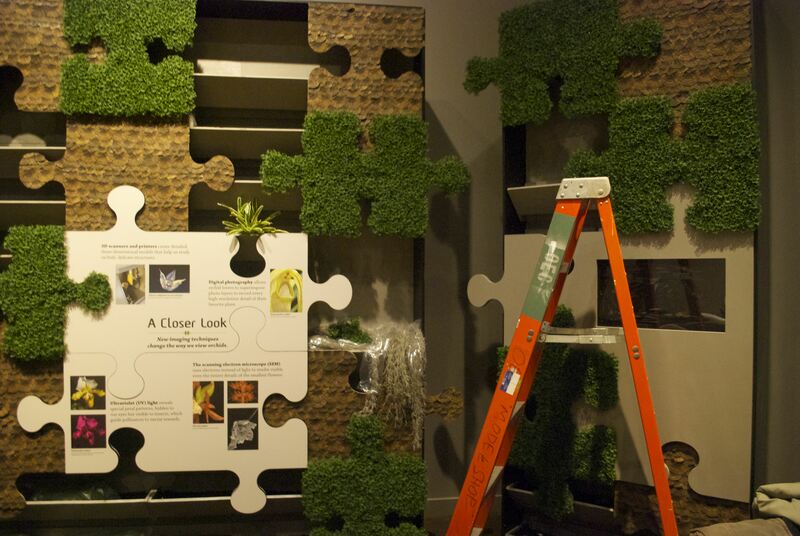 The exhibit explores “where botany, horticulture, and technology connect.” OEC’s approach to the exhibit components mirrored this interlocking theme. 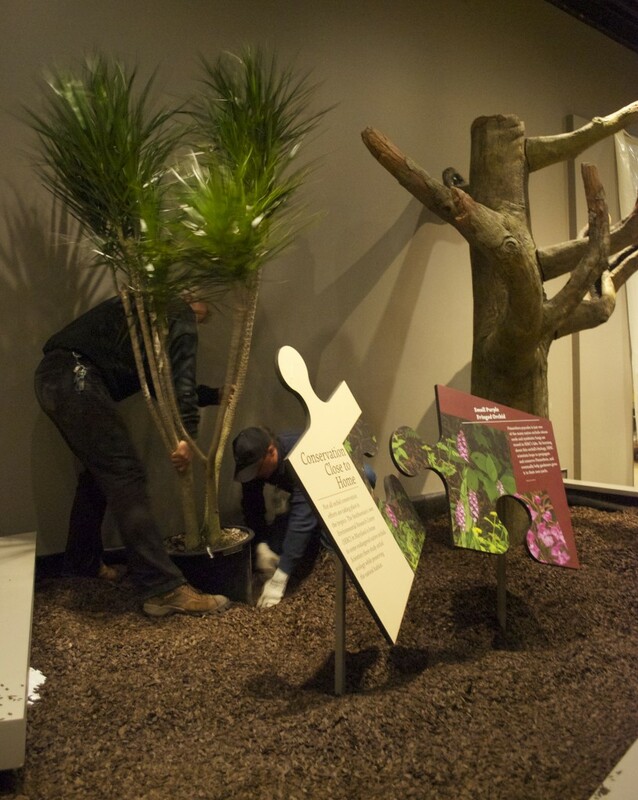 Staff from Smithsonian Gardens installing a tree behind OEC’s puzzle piece graphic panels. OEC created detail drawings from Natural History’s design and produced all of the built elements in the exhibition. The team produced the structural components using traditional fabrication methods, but the interlocking puzzle piece panels were machined using the Computerized Numerical Control (CNC) panel router. Fabrication shared their CNC files with Graphics, so they were able to create graphics that matched the profile of the panels. After the panels were sent to the paint department for finishing, Graphics direct printed the images and text onto the panels using a flatbed printer. The interlocking pieces feature graphics that were designed to fit the puzzle piece shapes. 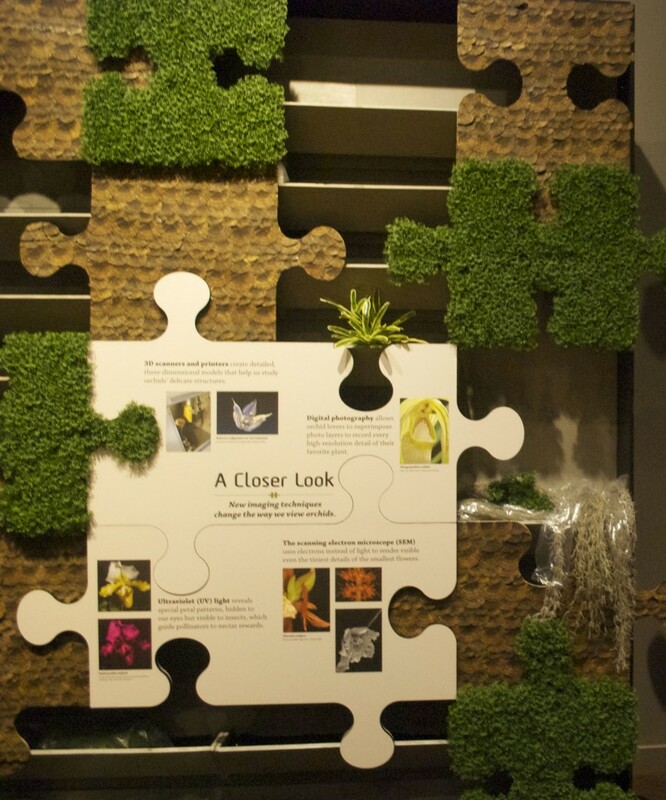 Orchids: Interlocking Science and Beauty will be on display through April 26, 2015 at the National Museum of Natural History.